Our Series 6 mini excavators are renowned for delivering high performance with exceptional fuel economy and the all-new SK55SRX-6 no exception. This machine is the direct result of more than 80 years Japanese excavator manufacture allied to modern technology and customer feedback, and incorporates many of the same technologies as our heavier machines. 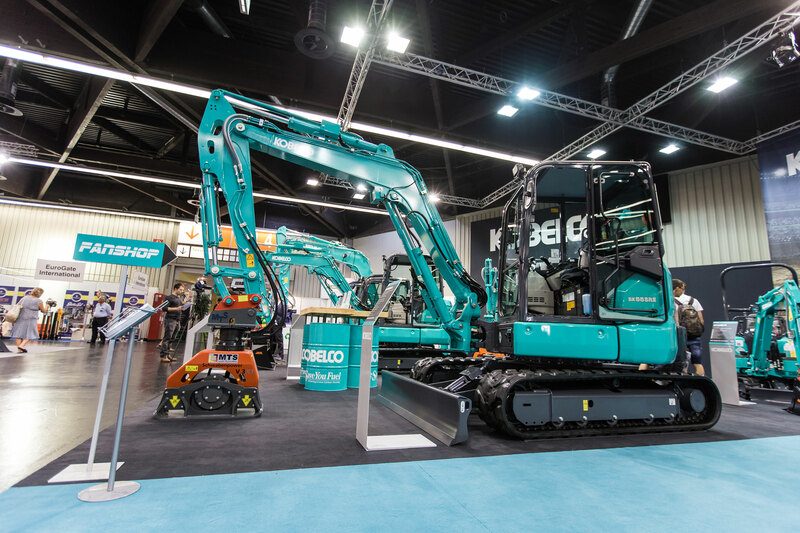 The machine also features Kobelco’s innovative Integrated Noise and Dust Reduction Cooling System (iNDr), which can be found on many of the manufacturer’s larger machines. This system enhances serviceability by allowing easy access to the air filter, reducing day-today servicing downtime. iNDr also minimises noise output, which is very important when working on residential job sites. Michael Hartman of Wolf Straßenbau is currently using a Kobelco SK55SRX-6 on a project in Germany. He is assisting another operator, who is using a Kobelco SK85MSR with two-piece boom, to dig and level the side of a road.